Sandstone Way end marker in Hexham. You may well be asking what is the Sandstone Way, well it is a little known long distance mountain bike route between Berwick-upon-tweed and Hexham, John and myself rode the route over four days back in September 2015. 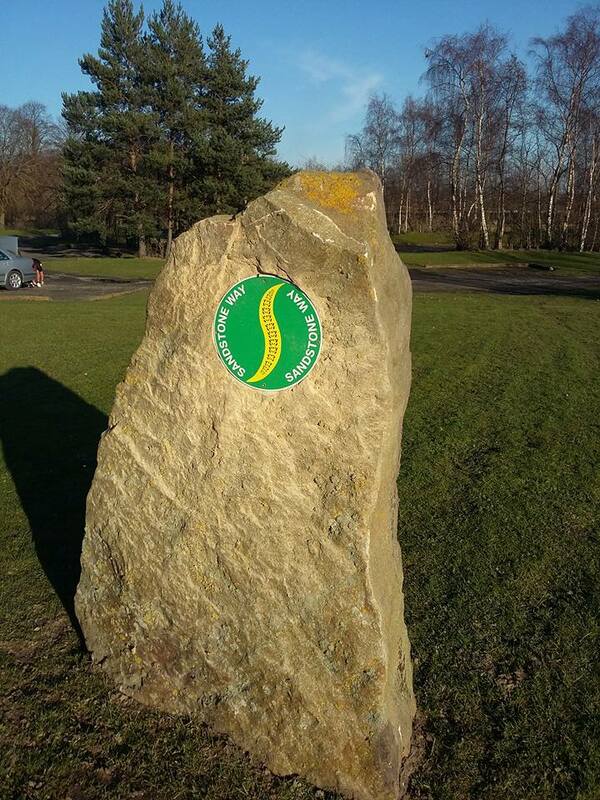 The Sandstone Way is around 120 miles or 190 kilometers from start to finish. The route follows the Sandstone ridge in Northumberland and passes through many places of special interest throughout its length. 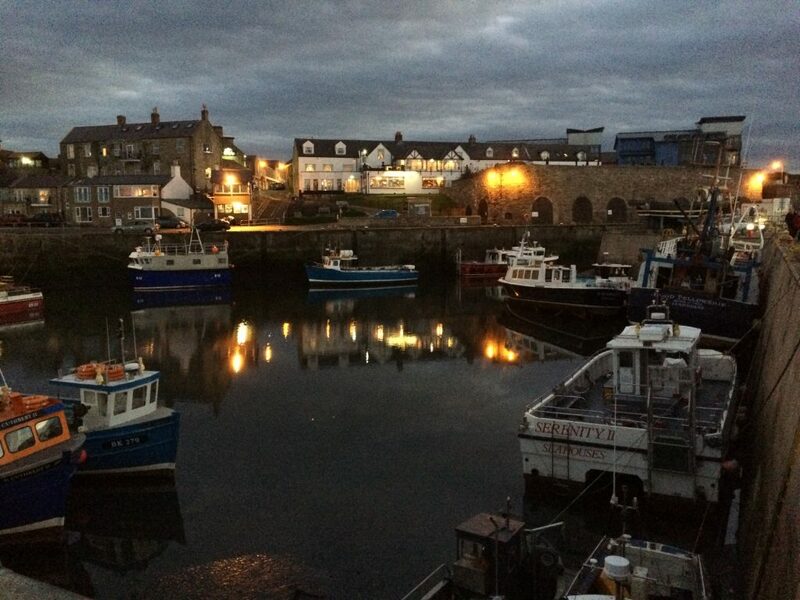 In order to reduce the travel times on Saturday, we drove up to Seahouses on Friday afternoon and booked into one of the hotels there. We stayed at the Links Hotel which I have used before and since this expedition as they do some great food and the prices aren’t too bad. Remember to check out their restaurant if you are ever in Seahouses, it is well worth it. We awoke early Saturday morning grabbed breakfast, packed our bags and got the biking gear together. Sarah then drove myself and John up to Berrick to start our epic mountain bike adventure. 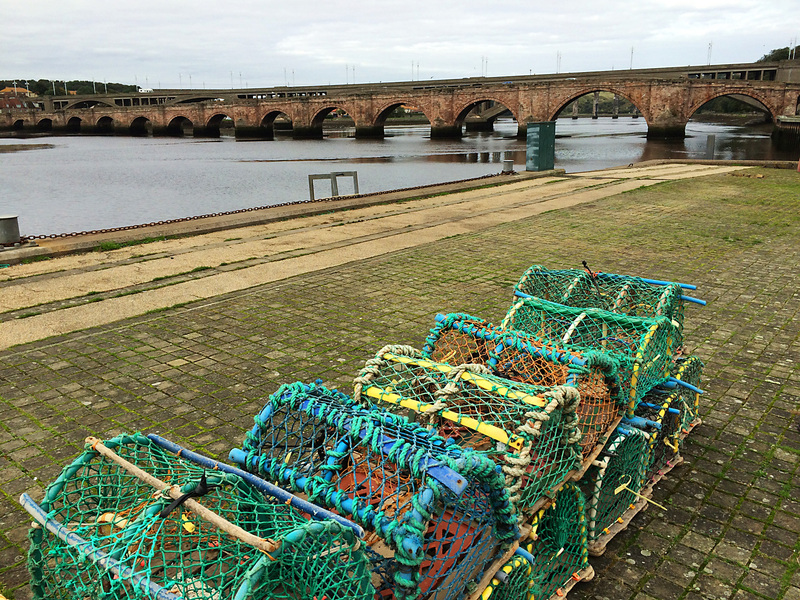 The Sandstone Way starts on the Quay at Berwick and heads south following national cycle networks route 1. This part of route one is also a part of the Coast & Castles. As I had ridden the Coast & Castles route previously I was quite familiar with this section. NCN Route 1 from Berwick to Beal. This part of the Sandstone Way is very easy to follow because it is well signed, it takes us down the coast along the cliffs and quiet lanes to Beal. 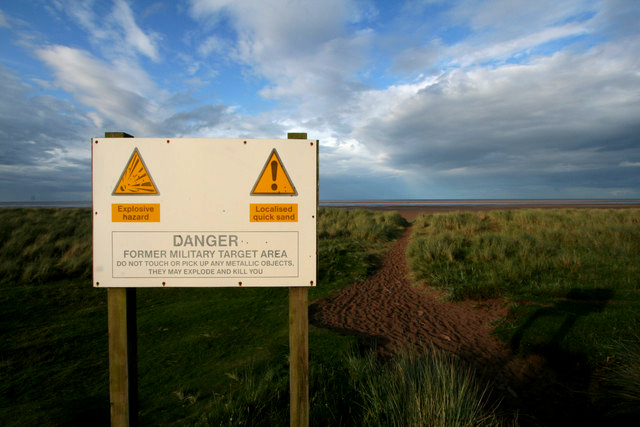 After riding through the golf course we cross Goswick Sands which was a military firing range.Take note of the warning signs and look out for exploding livestock. We have visited the Barn a number of times over the years whilst we had been staying in the area. There has obviously been a lot of investment in the business because the building and grounds have improved a lot since our very first visit. There used to be a bird of prey center here as well but I forgot to check if it was still there on this occasion. After coffee & cake at the Barn, we turn away from the sea and head inland continuing along the Sandstone Way towards Wooler. We will be heading back up this part of NCN Route 1 in July 2017, as we are going to document the Coast & Castles route from Newcastle to Edinburgh. 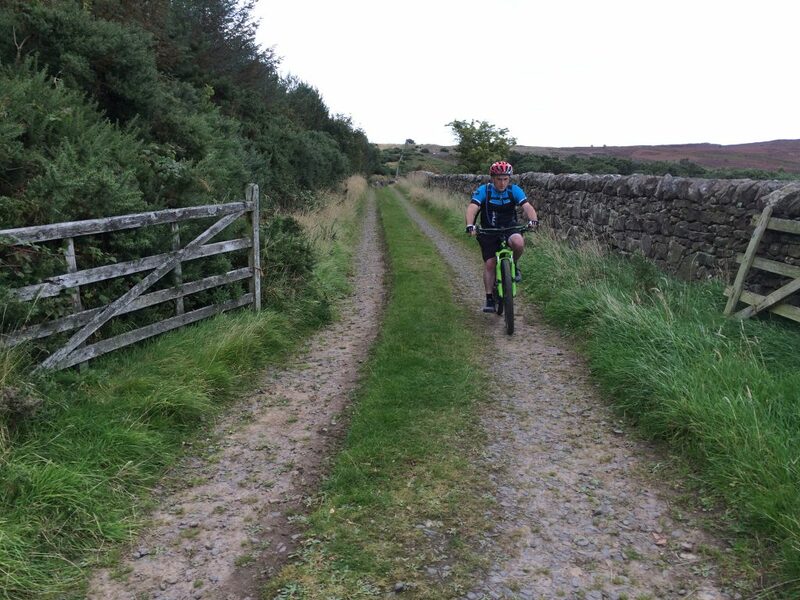 Once we did turn inland we were riding on quiet lanes and old farm tracks and bridleways. 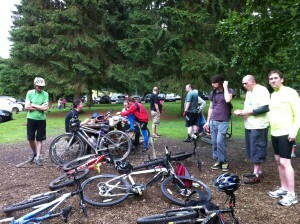 The going was OK but the ground was damp due to recent rain which made some sections harder to ride than others. The scenery offered plenty to photograph if you had time, this unusual tree acted as both an interesting subject and bike stand! Although recent rains had softened up the ground things were not all that bad weatherwise as the sun was out and the bikes only dragged a moderate amount of mud along with them. 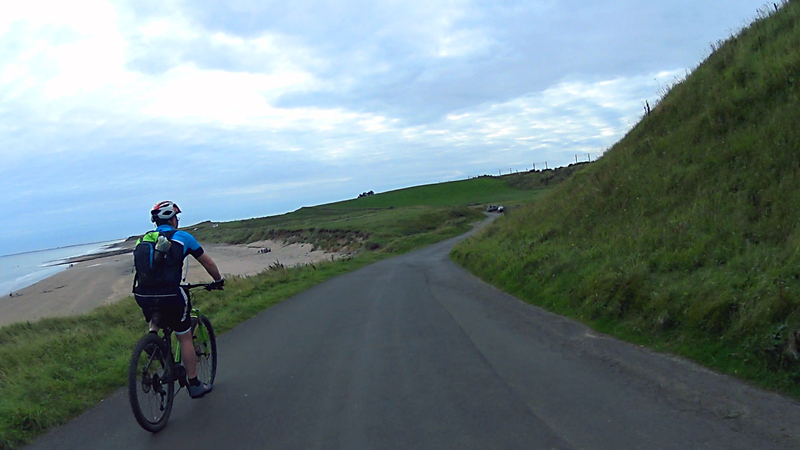 On day one we covered around 35 miles, we rode varied terrain and saw some great land and sea-scapes. To experience more of the adventure of our first day of the Sandstone Way check out our Day 1 video. The Longdendale Trail is a short trail which follows part of the route of the Woodhead railway line, which used to run between Manchester & Sheffield. 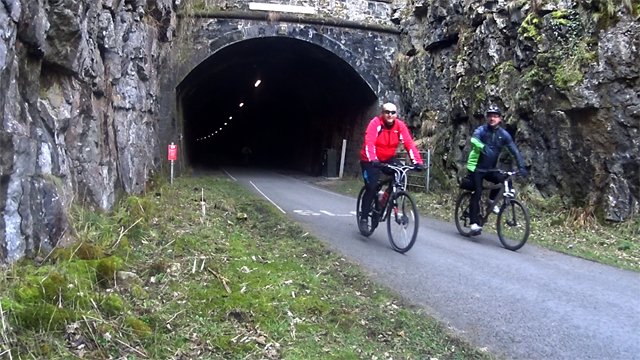 The part we ride in this video stretches from the Woodhead Tunnel’s Westerly entrance down to Hadfield and back. The trail, which opened in May 1992, forms part of the longer Transpennine Trail (TPT) also known as the National Cycle Network Route 62. The TPT is a coast to coast route which stretches from Southport on the West coast to Hornsea on the East coast. We have ridden this route many times and generally the scenery and views encountered on this ride breathtaking, however on this occasion there appeared to be a lot of work under way to make changes to the trail and provide easier access to heavy plant/vehicles. Some sections, like the cobbled section, what appears to be an old mill pond and unspoiled original trail still hold a lot of appeal. At only 6 miles each way it’s a great trail that is good for all the family, or cyclists of any ability and with only one road crossing it’s considered traffic free. 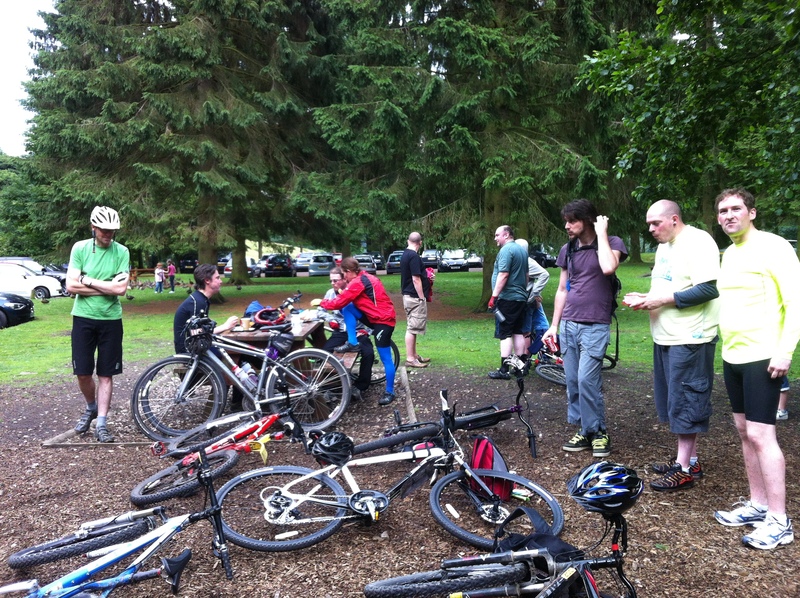 If you tackle the trail on a Saturday the options for lunch in Hadfield are much better than on a Sunday. Enjoy the video, and feel free to comment. Thanks for watching. Earlier this year, the second of May to be precise, myself and Sarah set off to ride a nice selection of trails known collectively as the Phoenix Greenways. They are situated on the boarder of Derbyshire & Nottinghamshire. The Phoenix Greenways are a network of easy access off-road trails and quiet lanes. Once old railways and collieries, the trails are rising like a Phoenix from the ashes of industry. 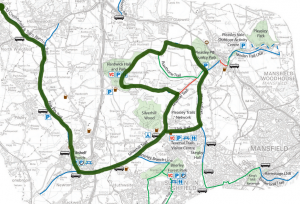 The Greenways link the Five Pits, Silverhill and Pleasley-Teversal Trails to countryside and popular local attractions. 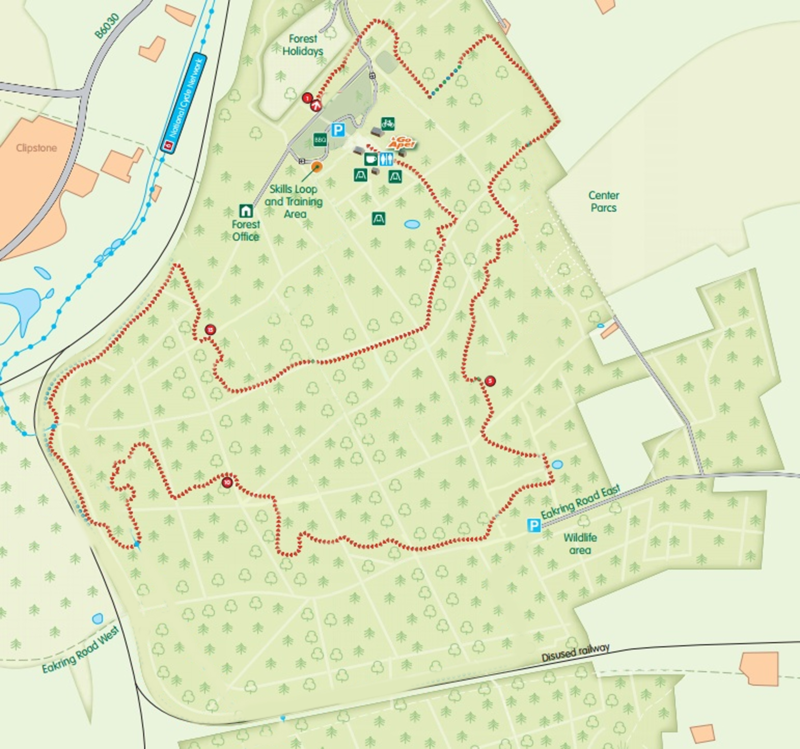 The route we rode started at Grassmoor Country Park, then we hit the Five pits Trail, which we followed down to Tibshelf where we jumped on to the Silverhill trail. We then followed The Silverhill trail North East until we reached the link going East to Skegby Trail. The Skegby trail took us North to Pleasley Pit Country park where followed a bridleway and did a short stint on the road to reach Hardwick Hall. After Lunch we headed for the Teversal Trail and followed that South until we rejoined the Silverhill Trail once more, then on to the Five Pits trail back to Grassmoor. The route was a pleasant one, the initial trail you ride, The Five Pits Trail, is rather lumpy and may be too much for a complete beginner, however the rest of the trails on the route are easy going with the occasional sharp ascent or descent thrown in where the trails cross roads. We really enjoyed the Phoenix Greenways, and would recommend them to you if you are able to travel to the area. You can check out our video of the route we rode below. 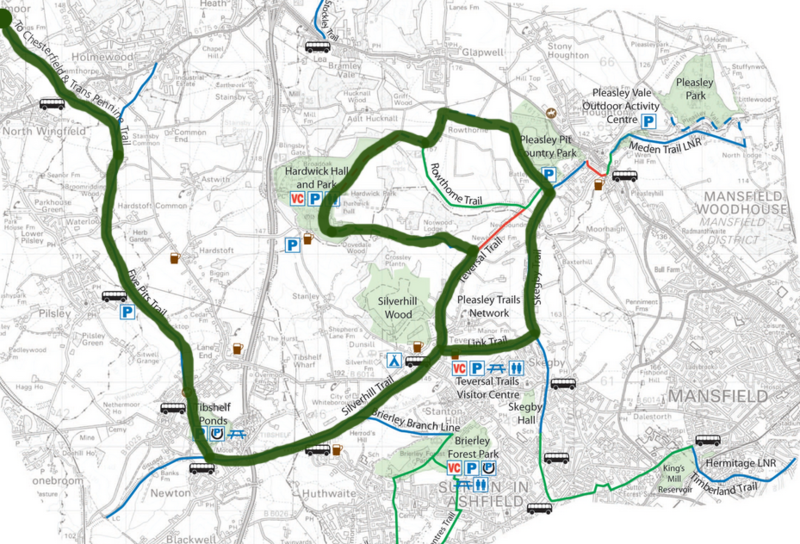 You can also find out more about the Phoenix Greenways from Derbyshire county council here. Until next time stay safe on those trails. 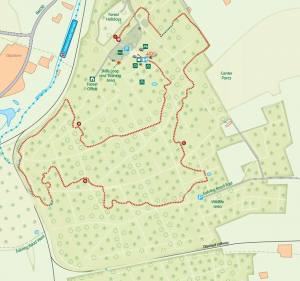 Recently we uploaded another guide to one of Sherwood Pines Forest Park trails. The video was titled “Riding The Kitchener Trail, Sherwood Pines’ Red Route” a great cycle route for mountain bikers, we had already reviewed the Green and Blue routes in 2015 so this is our last guide to the centers trails. The red route is a great trail that appears to be continually evolving in the forest as it is diverted around obstacles or forestry work, it is the longest and most difficult route and you have to be pretty energetic to get around it without taking a break. The trail starts at the back of the car park away from the visitor center, the first section of the Kitchener Trail is a fast going path with an irregular surface, this first part prepares you for what is to come…. The trail also has many small ascents and descents throughout it’s length, however nothing too severe as the area surrounding Sherwood Pines is relatively flat. If you want some bigger ups and downs I can recommend both Whinlatter in the Lake District or Coed Llandegla in North Wales for you to try out if you are ever in the area. The next time we visit either of these Mountain Bike centers we will film the routes we run. We usually have a good time when we are out enjoying the cycle routes at Sherwood Pines and I am sure we will visit the trail center a few more times before the year is out. Please enjoy the video and if you would like to see more of the routes we ride then please subscribe to the channel. The ride is a favorite of ours and is an estimated 30 miles which should take 3-4 hours including a stop for lunch. 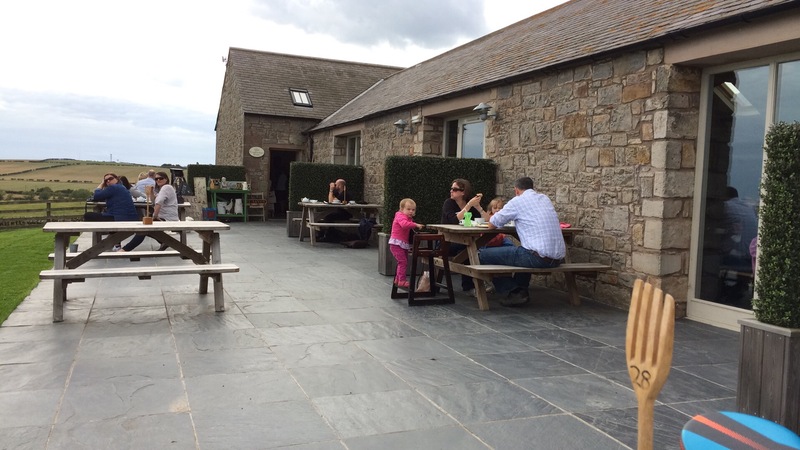 Although there are many places to join the trail throughout it’s length, our usual location to meet is the visitor center at Parsley Hay, here you will find ample paid parking, a bike shop with hire facilities as well as small cafe serving snacks and refreshments. 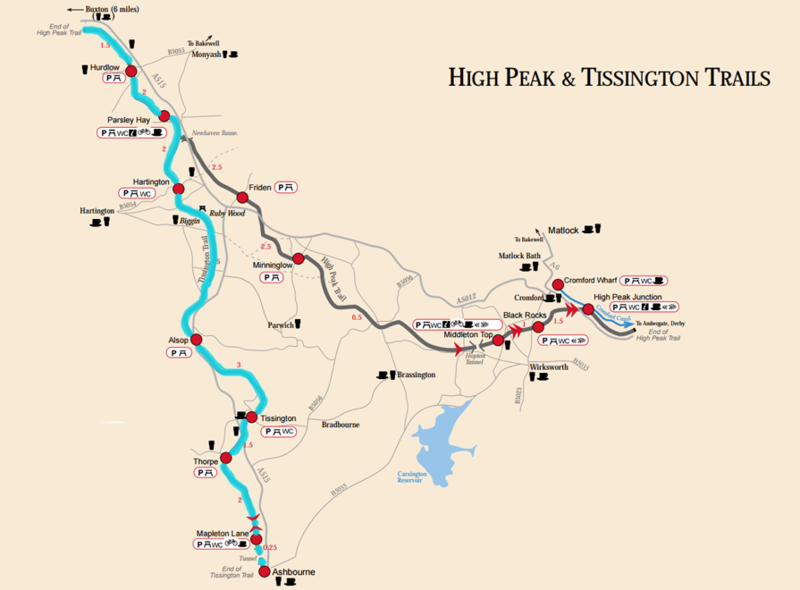 As you can see from the map, the Tissington and High Peak Trails merge close to Parsley Hay. 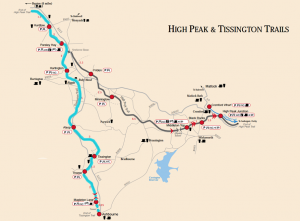 In this video we are riding the Tissington Trail that I have marked in blue, it heads south through fantastic Derbyshire countryside and finishes in Ashbourne. On the route there are numerous places to stop and have a picnic or take a break. Although the Tissington Trail is popular with both walkers and cyclists alike, it is never quite as busy as the Monsal trail which is close by. I have two more videos to be posted in the future which use part of the Tissington / High Peak trails so look out for those. Enjoy the video and I hope it gives you some motivation to get out on your bikes. 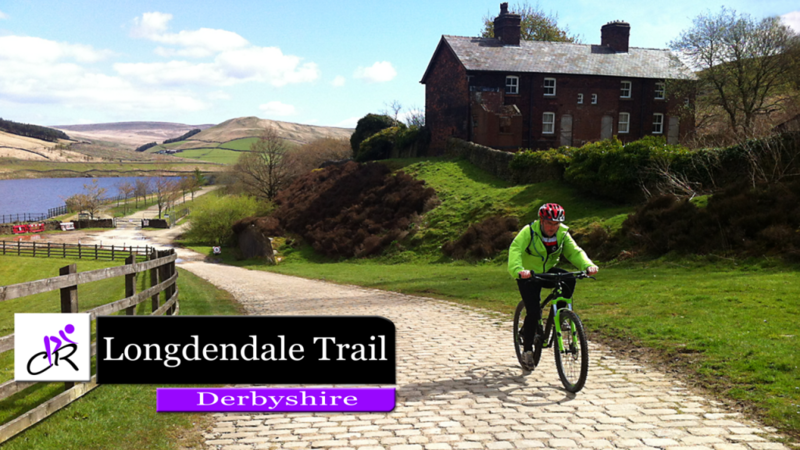 Our video “Cycling the Upper Derwent Valley Family Route” is now available on YouTube. This is a 14-mile route around the three reservoirs Ladybower, Derwent and Howden in the Derwent Valley. This route begins at the Fairholmes visitor center and heads out along a quiet road later joining traffic-free bike paths around the Valley. In some places the ride can be challenging, however the scenery and wildlife can make it all worthwhile. The Ladybower reservoir is famous for drowning the villages of Ashopton and Derwent during its construction. The Upper Derwent Valley was also used for the training of the 617 Squadron when they were practicing their low-level flights needed for the dam buster raids. Watch the video and feel free to like & share and if you have any questions or suggestions please use the comments section on YouTube. Enjoy the video and if you ever get the opportunity enjoy the cycle route. The Monsal Trail in Derbyshire is almost 9 miles long and stretches from Coombs Road near Bakewell to Topley Pike Junction in Wye Dale. We enjoy riding the Monsal Trail, It is a great route which the whole family can enjoy riding regardless of the their level of cycling proficiency. Hassop station, is usually our starting location of choice as it is a great resorce along the Monsal trail, it has a Cafe, Bike Hire and a book shop as well as ample paid parking. The route follows part of the Manchester, Buxton, Matlock and Midlands Junction railway. The railway was closed in 1968 and passed in to the hands the Peak District National Park in 1980, at this time numerous tunnel sections were closed for safety. Roads or paths were used to link the various sections as a result. Work costing in the region of £2.25M started on the four tunnel sections in 2009 in order to make them safe, this work was completed in 2011 creating the continuous trail that we know today. Had one of these cycle carriers arrive yesterday, for only £75.87 and that was the best price I have seen them going for and It’s from Amazon! If anyone finds a better price let me know, as I’ll probably need another one in the next few months. 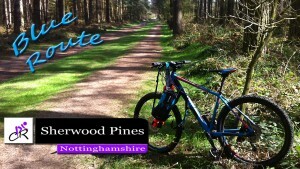 Cycling the Blue Route at Sherwood Pines. 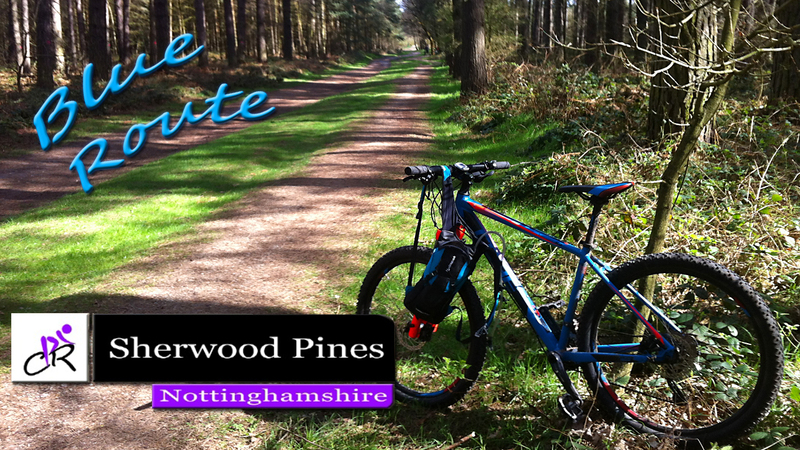 Our latest video has just hit YouTube, it’s a guide to cycling around Sherwood Pines Forest Park using the Blue Route. We often visit Sherwood Pines, to do a combination of the “Green Route” + another, be that Red or Blue, on this occasion we hit the “Blue intermediate Route”. 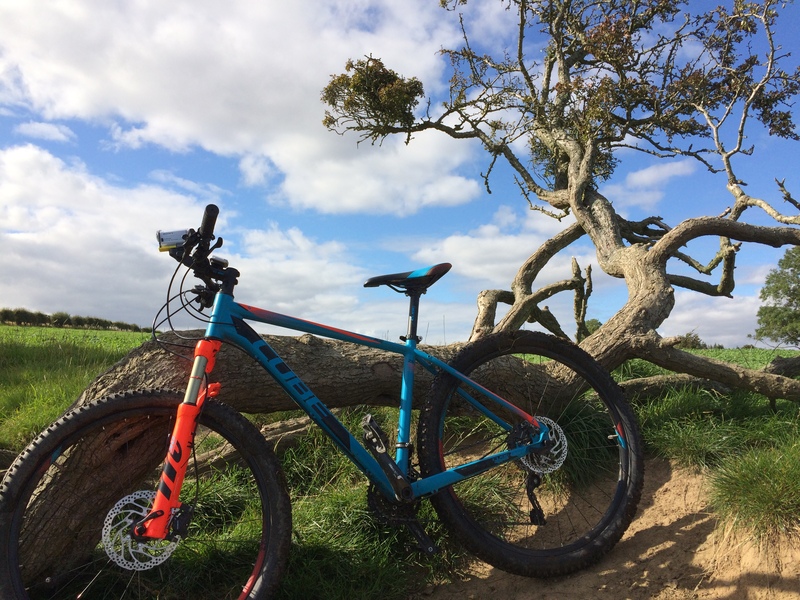 It is a good trail for confident new riders with a little off-road experience or intermediate riders wanting a quick blast and it is well worth a visit if you are in the Nottingham area. 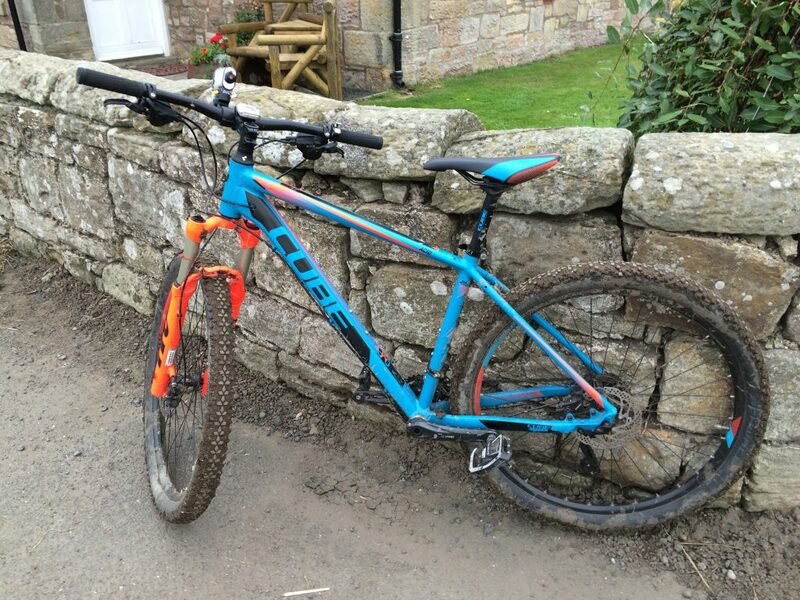 There is bike hire available at the center for those who do not have their own off-road bike handy, or would rather hire for the day. The route was ridden by only Sarah & myself on this occasion and we used our cube cross country (XC) bikes, these are very light and nimble bikes and didn’t break the bank to purchase either. This video shows us cycling the Don Valley trail, which is one of our regular cycle routes, our ride runs from Cote Green carpark at Wortley heading North West to Dunford Bridge and then we return back down the same trail. The Don valley Trail is part of the Trans Pennine Trail.